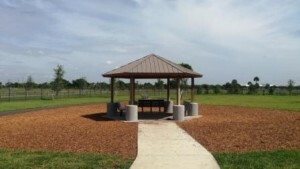 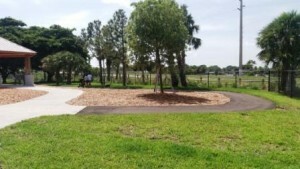 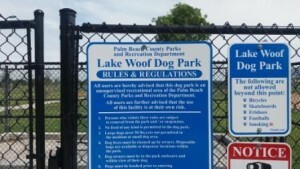 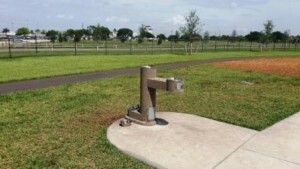 Recently opened in July 2017 and one of the best dog park in Palm Beach County, Lake Woof Dog Park is visible from 6th Avenue South in Lake Worth but you need to enter through John Prince Park’s entrance to access the dog park. 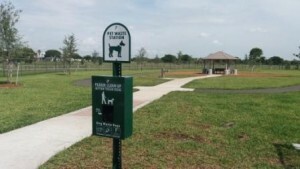 Lake Worth pet owners now have a closer location to take their dog to an off-leash dog park for beneficial exercise and dog socialization. 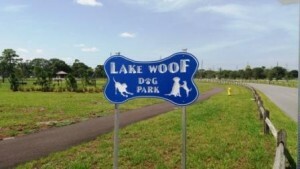 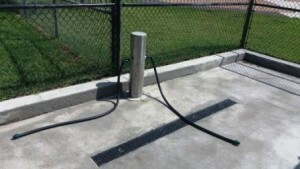 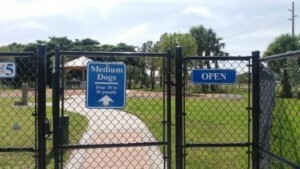 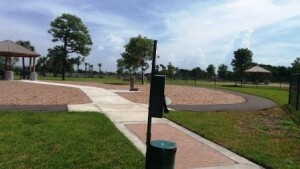 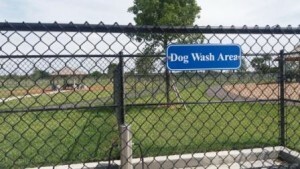 Lake Woof Dog Park has 5 separate dog areas each clearly marked for small, medium and large dogs. 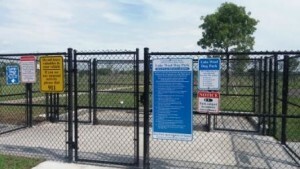 A couple of areas are closed and will be used on a rotation basis. 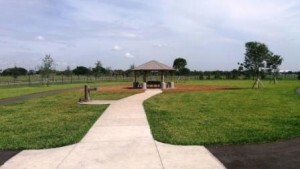 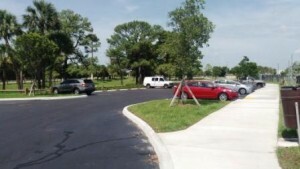 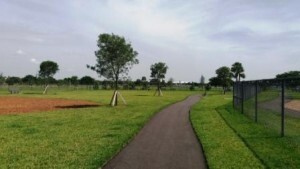 In each of the areas you can walk on the smooth paved path with gazebos in the center, benches and water fountains. 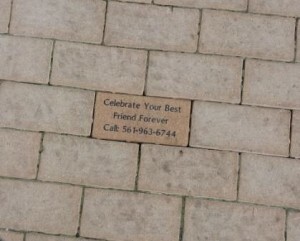 In each fenced area the public can purchase a memorial brick and have their pet’s name engraved in memory of a pet’s passing.